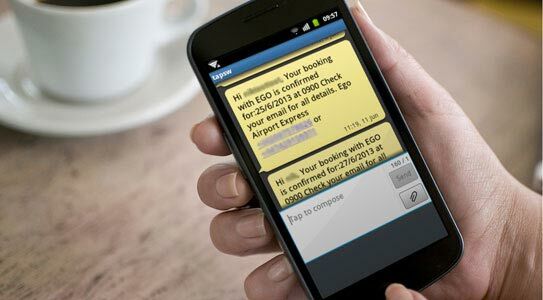 Send TEXT confirmations with each booking and don't charge your customers any SMS rates. With bookingDialog you pay only your monthly subscription rates and nothing extra. Chose the Pro version for unlimited TEXT messages. When your customers place a booking with your service they receive immediate feedback from your booking system. This message may seem as a nice little feature one could do without, but in reality it has an enormous impact on your no-show rates. It gives your customer a reassurance that the booking was received indeed and wasn't simply swallowed by some broken and outdated online form. Your customers know that you expect them. They have your contact details in their pocket just in case anything happens on the day of the appointment.